Renal colic is a pain associated with kidney stones that usually develops as a result of too much of a single chemical in a person’s urine. Here, we take a look at the symptoms, causes, and some helpful prevention measures. Our urinary tract is made up of the kidneys, ureters, bladder, and urethra. Urine, which forms in the kidneys, passes through the ureters to reach the bladder. Here, it is stored and later released through the urethra and outside the body. When kidney stones form, they can block the urinary tract. Stones are like crystals and can lodge in different parts of the tract. If a crystal or stone gets lodged or travels down the tubes of the urinary tract, it can lead to renal colic pain. While this can happen to anyone, it is more common in men between the ages of 20 and 30. Some people have more than one kidney stone at a time. There are some situations where renal colic can present serious signs and symptoms. If you were to have a high fever (over 101 Fahrenheit), were unable to urinate, were vomiting uncontrollably, or had severe pain, you would need to seek immediate medical attention. As explained earlier, renal colic occurs when there is a build-up of stones or crystals in the kidneys that interfere with the flow of urine. Simply put, the kidneys swell, producing waves of pain (colic). How long does renal colic last? Well, it varies from person-to-person, but it can last up to 30 minutes after onset or could take up to six hours to peak. 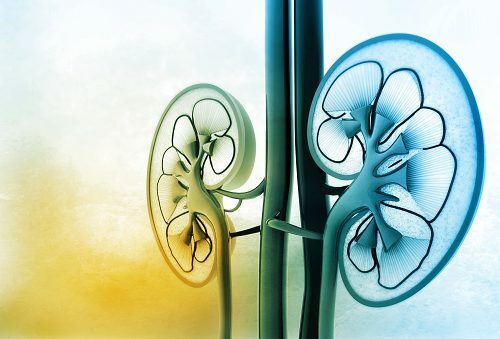 There are several risk factors that can increase the chances of developing renal colic, however, it is important to keep in mind that not everyone with these risk factors will develop renal colic. Risk factors include dehydration, a diet high in vitamin D, overuse of diuretics, intestinal malabsorption, family history of kidney stones, pregnancy, use of calcium-based antacids, use of certain medications, and a personal history of kidney stones. Fortunately, in a lot of cases, kidney stones pass on their own. The hard part is the pain. In other cases, kidney stones and renal colic can recur. Complications of untreated or poorly treated renal colic can be serious. Following a treatment plan can help you avoid adverse effects, including blockages in the urinary tract, kidney damage, urinary tract infections, recurrence of stones, and kidney damage. Renal colic diagnosis often begins with simple blood and urine tests that may show infection or kidney malfunction. An x-ray, CT scan, or MRI may discover a kidney stone is the cause of the pain. Sometimes, a contrast liquid is given to help the urinary tract show up better in the images. In terms of renal colic treatment, there are a few different possible approaches, but the idea is to break up the stones and reduce pain. When stones pass on their own, the renal colic goes away, yet the stones may come back, so drinking plenty of water can help them pass again and may lower the pain. There are also certain medications that can be administered to help break up the stones, while other medications are used to treat the pain. For instance, alpha-blockers have been known to help stones pass, cystine control medications can reduce cystine levels in urine, and Allopurinol is used for uric acid kidney stones. In some cases, surgery may be needed to remove a blockage or if the kidneys are not functioning properly. Procedures such as heat therapy for pain, lithotripsy—which is the use of ultrasonic vibrations to break down kidney stones—ureteral stent replacement to keep urine tubes from the kidneys to the bladder open, as well as a minimally invasive surgery called ureteroscopy can be performed. Drink liquids – This can decrease pain and flush blockages from the urinary tract. You may need to drink up to 12 glasses of liquids each day. Limit coffee, tea, and soda consumption. Strain urine – Urinate into a strainer or glass jar to try to collect the stones. Give the stones to your doctor at the next visit. Eat healthy foods – Consume fruits, vegetables, whole grains, and low-fat dairy. Avoid activity in hot temperatures – Heat can cause some people to become dehydrated and urinate less. There really is no denying it, renal colic is very painful. Studies suggest that five percent of the population experience kidney stones, so it is quite common. Some researchers have attributed the increase in kidney stones with changes in standards of living, mainly what we refer to as a “higher standard of living.” This means more of us have access to a lot of protein, sodium, and oxalate-rich foods, which have all been linked to an increased risk of kidney stones. If you think your diet might be a problem, consider seeing a dietician. It could help you avoid renal colic. Related: How to get rid of a UTI naturally?